Slates are just one of the unconventional campaign strategies candidates are using this semester. The more the merrier? Possibly in the case of USG elections. Out of 20 senate candidates, 16 of them are running as slates for a total of 12 open senator positions. If elected, they will be part of USG which controls a nearly $2.3 million annual budget. USG allocates funds among academic research, events and student groups on a first-come, first-serve basis. USC allows up to five people to run together in an election in multiple-party groups called "slates." The USG elections code states that the members of the slate "share financial and volunteer resources and work together towards the Election of all members of the slate to the Senate." Hailey Robertson, Julian Kuffour and Ben Rosenthal are one of two slates running this year that include three members. Robertson and Kuffour are both from Kansas, where they met in the lab of a debate institute during high school years. Candidates running together can rely on each other throughout the campaign process. It can be comforting to have additional support, said Rosenthal. "When you're running in slates, it is a lot easier than running by yourself," Rosenthal pointed out. Purchasing campaign materials as part of a group is more cost effective, according to Robertson. "Individual candidates only have $200, and they can't afford that," he added. 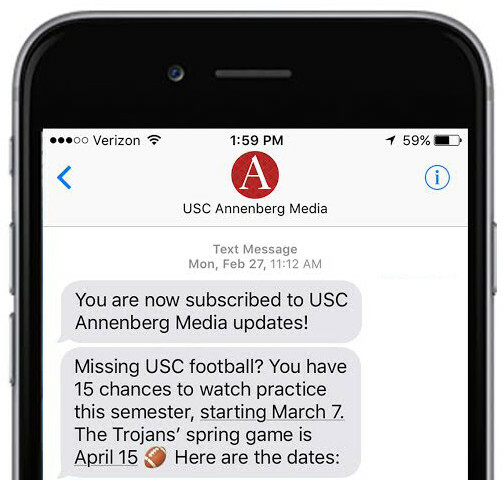 Since USC restricts certain types of communication during campaigns, Rosenthal said running in slates can be strategically advantageous as well. "There are regulations that you can't send big group messages, you can't go to specific Facebook pages and spam them," Rosenthal said. "Being able to reach out to more people individually obviously expands who you can reach out to." While all candidates in a slate run together, they are elected individually by voters. Sometimes, one or more candidates in a slate won't make the final 12. "The obvious disadvantage is what if two of us get elected and the other one doesn't," Robertson said, "I think it's a tough reality that a lot of slates sort of face because it's a huge possibility. And it will be extremely disappointing and hard." While running as a team has its own pros and cons, another slate of Senate candidates faces their own challenge: running from abroad. 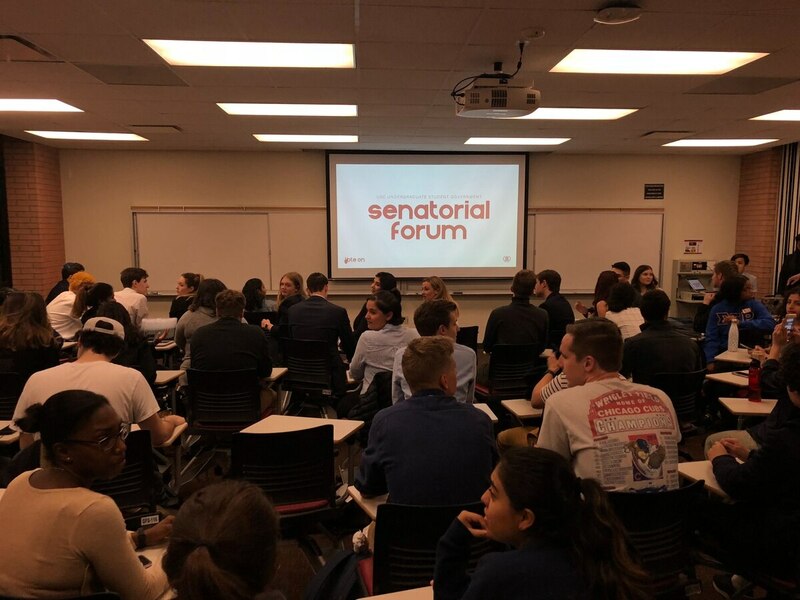 Jacob Lind and Jacob Schwessinger are running their campaign for USG Senate from their study abroad programs in London and Dublin. The two Jacobs not only share a first name but also a vision of what their campaign will look like. Because Lind and Schwessinger are not physically on campus, they maintain a "very social media-focused campaign" strategy and take into account the eight hour time difference. Campaigning across the pond presents challenges to connect with voters, according to Lind. "It's weird to be disconnected from the ground game aspect of it, like handing out flyers on Trousdale… It's also been really neat to see the support from afar," Lind said. However, when asked about if running together is an advantage, the Jacobs said, "without a doubt." You can vote for USG from Feb. 5th to 7th either online or in-person at voting stations located at the Lyon Center, Leavey Library and Tommy Trojan.